When all panels are up and running, by the end of 2018, the project is expected to generate 13 megawatts?or 23,000 megawatt-hours of energy in a year, enough to power 3,500 homes in the area. In 2015, the Water Agency has contracted to procure 100% of its electricity needs through renewable and carbon free resources, thus achieving a carbon neutral electricity supply to power its system. The Water Agency has three solar photovoltaic projects totaling almost 2 MW which account for 6% of its total electricity needs. The Water Agency procures local geothermal energy from Sonoma Clean Power’s EverGreen program for 5% of its electricity needs. The remainder of its energy needs are met through PWRPA carbon free sources of the Sonoma County Landfill Gas to Energy project, Lake Sonoma Warm Springs Dam hydropower, and other non-local hydropower sources in the Sierra Nevada mountains. The landfill gas accounts for 55% of Water Agency electricity needs, Warm Springs Dam accounts for 27%, and other hydropower accounts for 7%. 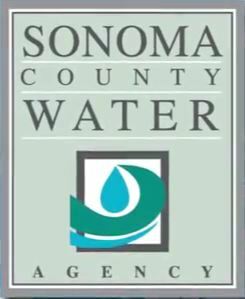 Of the 100% renewable and carbon free sources the Water Agency utilizes, 93% are from sources within Sonoma County. The Sonoma County Water Agency was recently featured in the Union of Concerned Scientists report Clean Energy Opportunities in California’s Water Sector. The Sonoma County Water Agency is showing that making investments in clean, renewable sources of energy benefits customers and the environment by supplying carbon-free water. This video includes and overview of the water agency’s plan for carbon free water by 2015. It explains the three main contributors to the agency’s success in lowering carbon and how they plan to reach their final goal.